Selection Italian Brunello Style - Texas Brewing Inc. The super concentrated flavours are generous even in youth, but this wine is sensational after six months to a year. 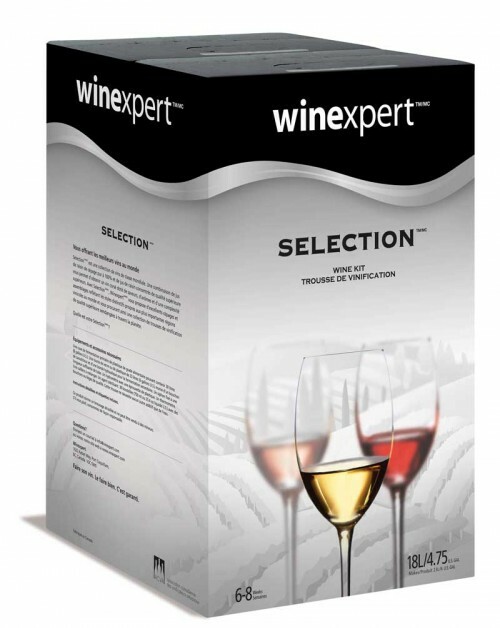 Our most popular premium wines are made from the Selection series and those who demand wines with exceptional body, flavor and aroma will be able to choose the perfect accompaniment for every occasion from over 20 available wine kits in this series. Winexpert's Selection Italian Brunello Style with Grape Skins is a dark-cherry color with highlights of gorgeous ruby-garnet. Bold, yet supple, the big, smoky-earthy nose of ultra-ripe cherry and currant-like fruit gives way to a hint of tar and cracked black pepper, cedar, whiffs of liquorices, leather, and also plums and black cherries, followed by a richly tannic, long, long finish.